Closure: as derided terms go, this one has its uses as a shorthand for the drawing of a notional line under the heartbreak of grief and loss. Anna Hope’s debut uses a high-profile gesture towards national closure as its connecting thread: the establishment of an Unknown Warrior after the end of World War I, an omni-representative of the country’s sacrifice. 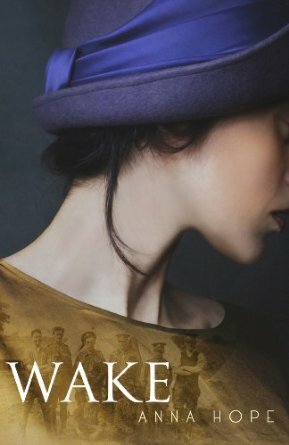 The five days in 1920 during which the corpse was selected on the French battlefield and transported to London, to be greeted by emotional crowds as it made its ceremonial journey to Westminster Abbey for the second anniversary of Armistice Day are the formal time frame for the book, a story of three class-differentiated women coping with aftermath in their own way. At the upper end, Evelyn Montfort, savagely unhappy after the death of her fiancé, and protective of her surviving soldier brother Ed, is working numbly at the Ministry of Pensions. Lower-middle-class Hettie Burns, a dance instructress at the Hammersmith Palais, devotes half her earnings to supporting her unhappy mother and shell-shocked brother. And then there’s working-class Ada Hart, still half-crazed three years after the loss of her son Michael. Ada’s marriage difficulties, Hettie’s hopes for a future and Evelyn’s coming to terms with her bitterness all shift over the five days as a result of one among many possible accounts of horrific events on the front line. As much panoramic as individual in its focus, the novel tries to span more than the dilemma of its three principal characters, evoking not only the trenches themselves but a whole shaded hinterland of opinion and experience among the wider population. But the book is stronger in the foreground, in its finely observed details of the women’s lives, moods and realities. In her impressive debut, Hope manages to avoid too many easy solutions, settling instead for empathy and the human impulse to carry on and survive, even if the first hints of fresh carnage are already faintly discernible, gathering on the horizon.